What would it take to make Sansar thoroughly engaging? Sure, Linden Lab can update the graphics and make it much easier to load and navigate the game, which I imagine they’re doing right now. But what would make it stand out from the previous grid? What would draw in new users, as well as ones from SL? This is an ongoing list that readers are welcome to add to. If you want to suggest a feature here, please do so in the comment section! Maybe someone from the Lab will see it and think it’s a good idea, too. I know–how Minecraft of me. But that is part of the charm of Minecraft, isn’t it? Not just the health option to turn on with a land parcel, but actual monsters that might crawl up out of nowhere and try to attack you–unless you fight back with weapons compatible with the basic survival-mode system. 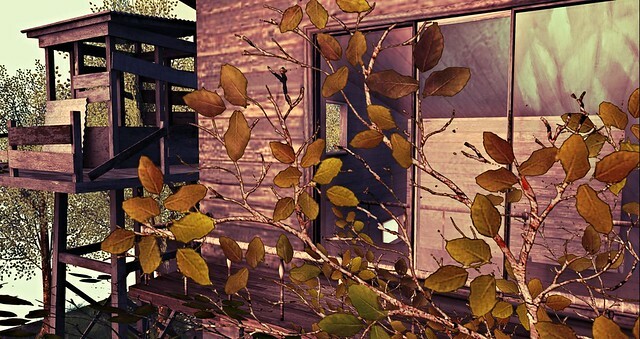 Players could either turn off the survival mode, the health mode, or both for a peaceful parcel. Those looking to create something with enhanced RPG settings could turn on both for a uniquely themed sim. Physics for store-bought items need to be sound so that monsters cannot phase through walls, forcing designers to get this part of their designs right. A custom spawn area in the land parcel options can make sure monsters don’t spawn in the wrong places. If you worry about player-killing happening in your sim or parcel, turn off the option under land settings and you’re good to go. Embedded crafting and cooking system. Those monsters you just killed gave you phat lewtz. Take them to either a kitchen set you just bought from the official Linden Labs store, or a secondary market kitchen either crafted by someone who’s forged one, or a designer who purchased scripts from Linden Labs to put into their kitchen furniture. Now you can use your kitchen for creating a variety of meals. Designers can submit new meals for the Lab to permit selling. The designers then sell recipe scrolls through their store, which needs certain materials to forge the item on a kitchen set. Or, they could purchase script packs to place into ‘pre-cooked’ items. Let’s talk about forging beyond cooking. Swords, guns, fishing rods–you name it. Having it all embedded in the new game engine lets you enjoy Second Life on a level you never knew existed. Weapon sellers can take the same two options for selling combat items. If selling items for combat systems isn’t an appealing option for you, opt out completely. Designers can sell unscripted items as normal in the game for decorative purposes, or use their own combat systems with the help of custom HUDs. More games and grid-wide high scores. I took a trip to IMVU recently to check out what it was like. A feature I absolutely loved, was the gaming area. Users could either pay a monthly fee to become a premier member and win coins to cash out, or they could play for free and win nothing. Both types of games extended IMVU’s enjoyment beyond just socializing with other people. If the Lab wanted to, it could divide up arcades based on users who are age-verified and who aren’t. Since some states don’t allow skill gaming for its internet users, it could section off those players to non skill gaming arcades. Regular arcade games would cost to play or need a paid pass to get in–but you can’t win Lindens from them. Skill gaming could sell passes too, but definitely need age verification to win money. Vendors who want to buy space to sell their games in the official gaming areas can rent them from the Lab. Even if users could apply for a skill gaming region on their own, buying space in the Lab’s arcades would no doubt increase their sales. I think this post is long enough, so I’m interested in your thoughts. Is there a feature you hope Project Sansar will have, but you haven’t seen it yet? Let me know in the comments, and suggest your own ideas too! Actually these are pretty neat ideas! I think SL wanted to do similar things – they have health or whatever and fighting sims were common (amongst my friends who designed weapons and stuff in SL) but it wasn’t ever good enough – not like how you are talking. That would be sweet. Love these ideas – they would bring in more people with different interests. Hey Kess! Thank you. Yes, I want more of a set-up system with combat so players will always have something to do–no more complaints about that from newbies. I’ve yet to really study up on what the new grid will ultimately be like but my hope would for a more fluid and seamless sim crossing experience! I love vehicles in sl (boats, cars, bikes) and I hope the new environment will better utilize/accommodate these forms of travel. Hi Kimi, definitely. I love driving too, the sim crossing experience in SL can make driving pretty hard at times. For some reason I don’t have as hard of a time with boating, but it might be due to the Blake Sea having a considerably lesser amount of prims to render. I can not see any on Sansar that appeals me, it is to much like Open sim, no crossing sims cause there will be no connection between regions (that they are calling experiences). So what is the difference from any open sim m grid? Sure you can create a region of the size of 25 reg sims, but that is also a fact already in open sim and much more higher (var regions of the size of 256 reg sims), without crossing sims, but you can not travel to another reion unless by teleport, so in fact Sansar will loose all that i love in Sl, mainland. Sansar is not going to be a persistant grid or place like Second life.Its a game engine like Steam for people to make games or exsperiences as LL likes to call them.its not an upgrade to SL like so many people seem to be confused about.they will be sep games that might be possible to play with friends but it isnt a constant exsperience that players can enter randomley like SL .I think alot of people are in for shock when they realise Sansar is just a tool for making seperate games.